Tolkien's world is a world of imagined archetypes, but it is also a realm for which he drew inspiration from the world's primary myths and legends - sources as diverse as the Teutonic myths as well as national mythologies and romances from countries such as Norway, Iceland, China and India. 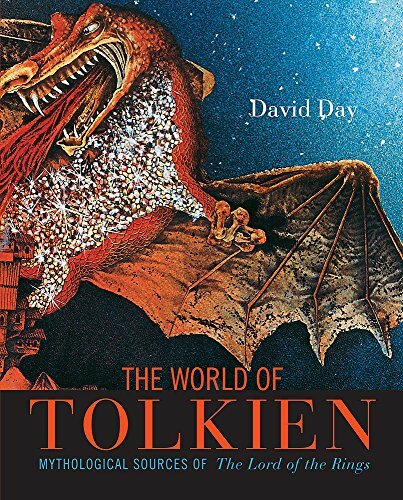 This companion to "The Lord of the Rings" inverts Tolkien's process and allows the reader to discover the historic, mythological, linguistic, literary and geographical inspirations and sources from which Tolkien wove his original tales. "Tolkien's World" is a comprehensive guide to uncovering the real-world inspiration behind the Gods and demi-gods, races of men, elves and dwarves, wizards and hobbits, creatures and monsters, cities, geography, battles and major events in the history of Middle-earth.